Applications are invited from suitably qualified candidates for admission into the University of Medical Sciences (UNIMED), Ondo State, Pre-Degree Science Programme (PDSP) for the 2018/2019 academic session. UNIMED Pre-Degree programme is full-time and will run for one (1) academic session of two (2) semesters between September, 2018 and July, 2019. It is an intensive programme aimed at preparing candidates for the Unified Tertiary Matriculation Examination (UTME) and Post UTME towards admission into the 100 level degree programme of UNIMED and other universities. The Pre-Degree Programme will remedy the deficiencies carried over from secondary schools in order to prepare candidates towards I undertaking a successful university programme. The programme will also prepare students adequately for university education by increasing their self-confidence and promote effective learning ability. How to Obtain UNIMED Pre-Degree Form. i. Prospective candidates are to visit the University website www.unimed.edu.ng, click on admissions, Pre-Degree Progamrne and duly follow the instruction to print the e-transact invoice. ii. Pay an application fee of Fifteen thousand naira (N15,000.00) excluding bank charges on e-transact in any bank on the e-transact platform. iii. Upon confirmation of payment, candidates are to complete and print the Pre-Degree Science Programme (PDSP) Application Form online after payment by logging on to www.unimed.edu.ng and click on the online PDSP Registration Portal. iv. Submit the Online application form and print out a copy of the Examination Schedule slip. 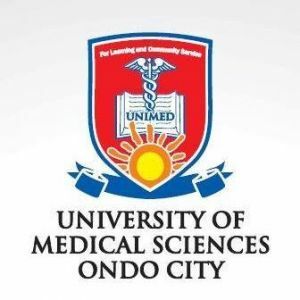 UNIMED Pre-Degree Admission Form Other Details. Kindly note that the University does NOT have any individual/sales agents for the admission exercise, for the avoidance of doubt, valid details about admissions into the programmes offered by the University can be obtained only at the Office of the Director of Predegree Science Programme (PDSP) and at the UNIMED website www.unimed.edu.ng. Kindly note also, that valid payments for purchase of forms can only be done as prescribed above and NOT to any individual. Anyone who transacts with any individual/agent or makes payment to any other account does so at his/her own risk.